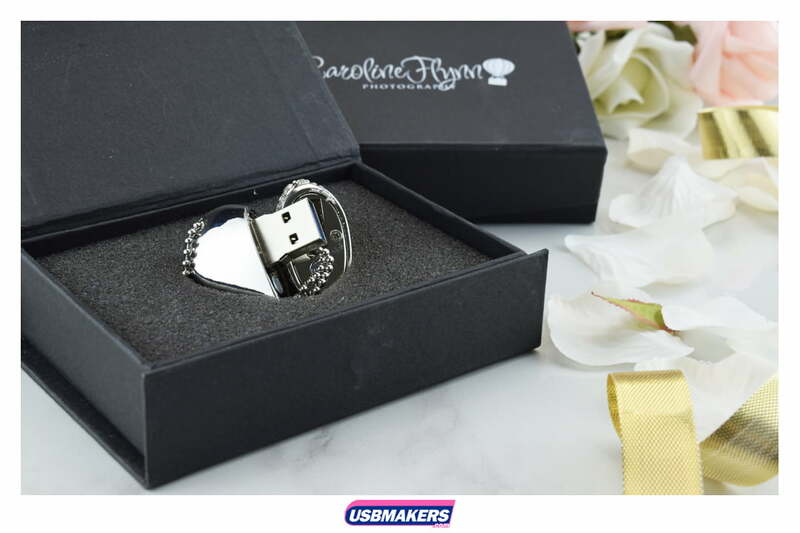 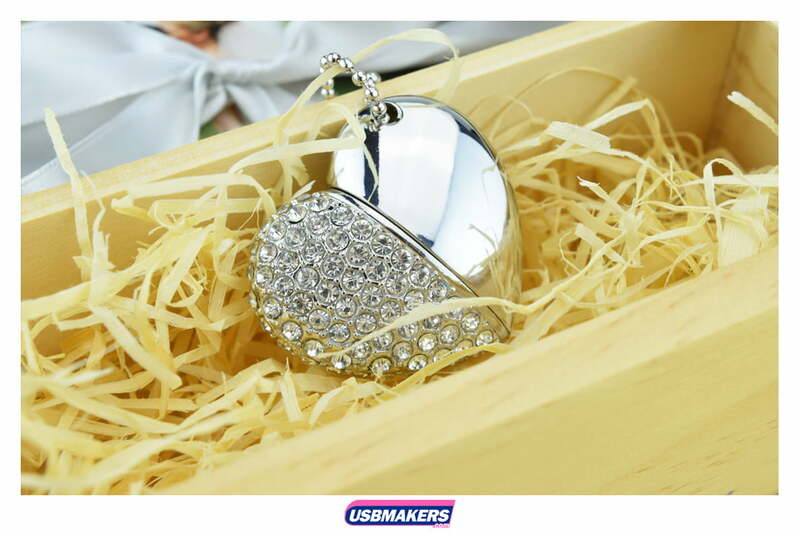 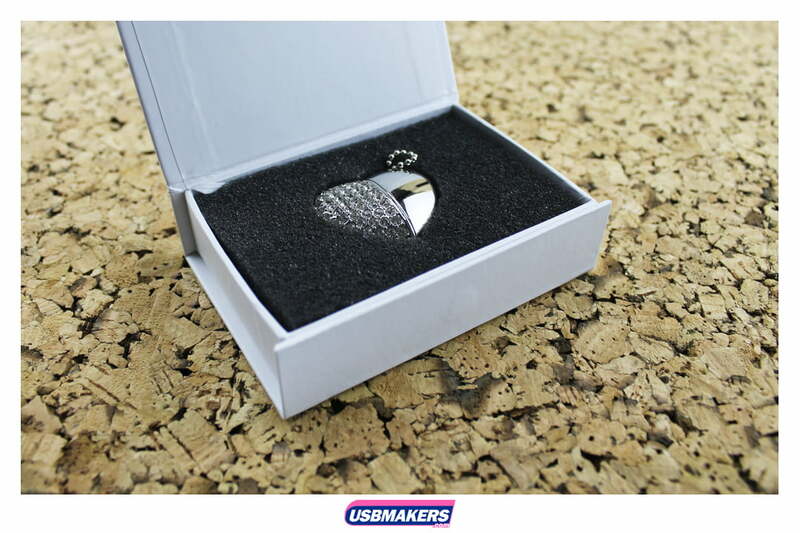 Add a touch of romance to memories of your special day with this exquisite heart-shaped USB. 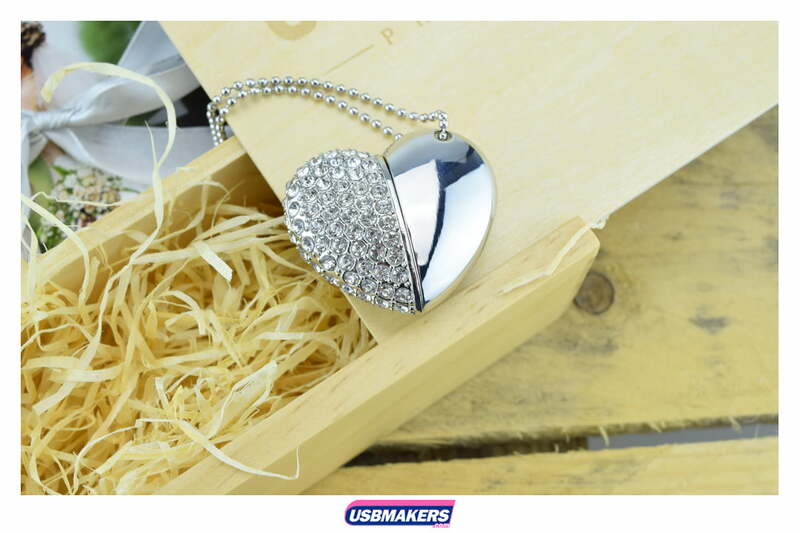 One half is encrusted with crystals while the other emits simple elegance with its smooth chrome finish. 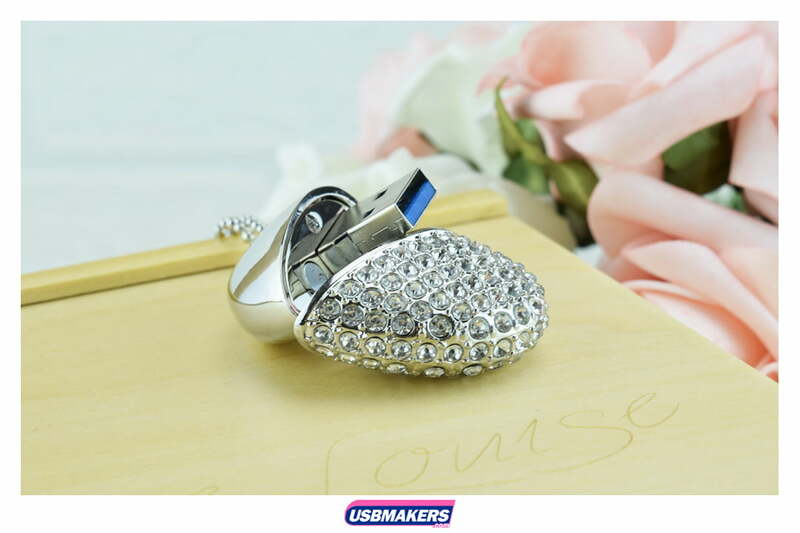 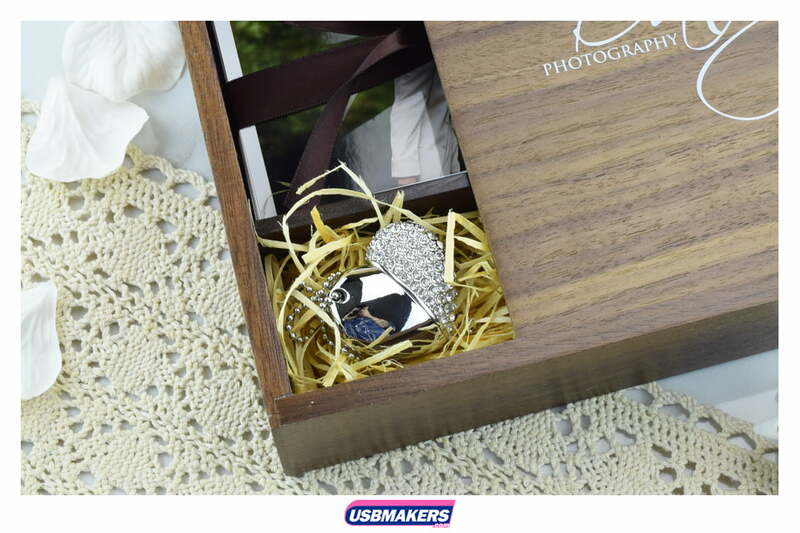 Although these exquisite USBs can be engraved in the chrome, they hardly need any embellishment. 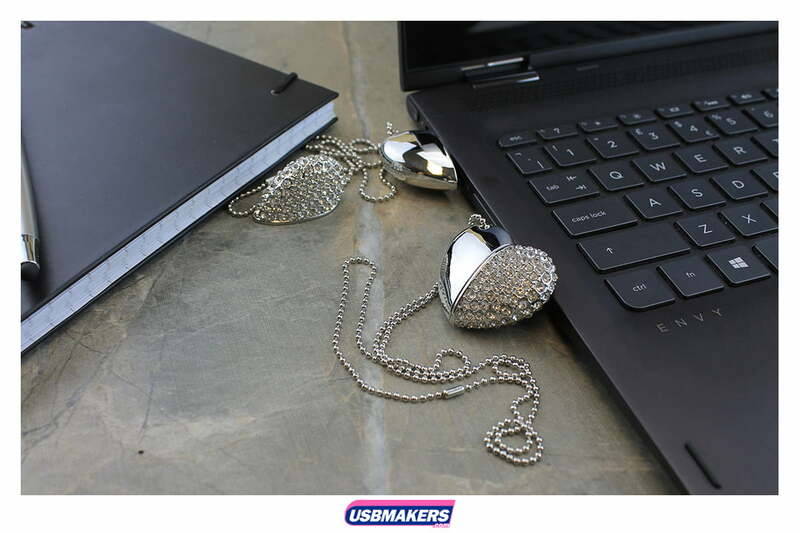 The heavyweight flash drive also comes with a chain making it wearable as well as practical, and will certainly add a touch of elegance to your branding. 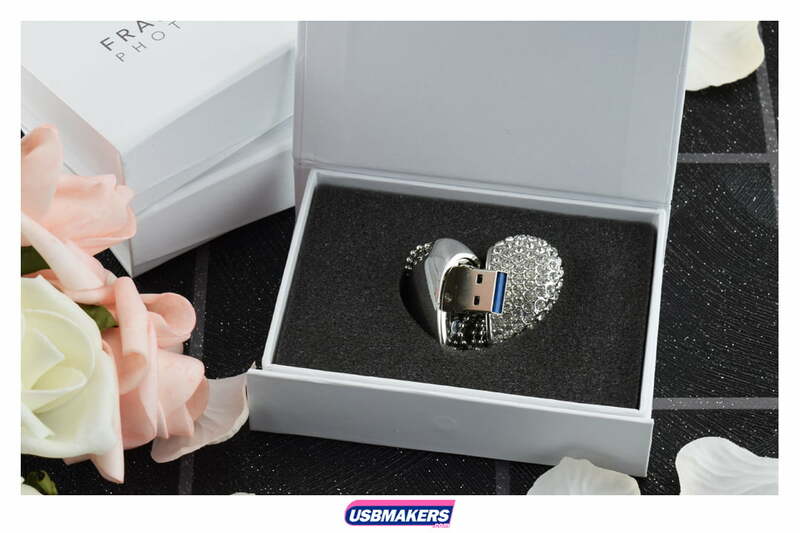 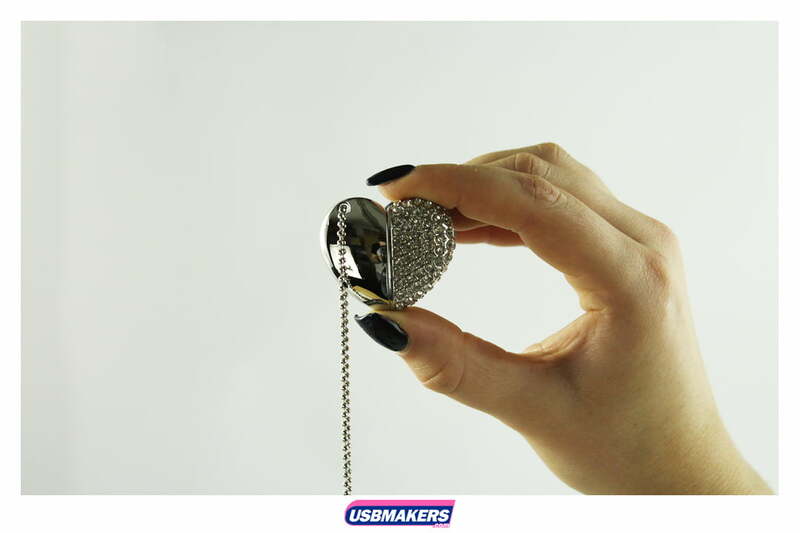 Available in a range of memory capacities and from just 10 pieces on our Express service, you won’t have to wait to impress your clients with the Crystal Heart USB.